Office rooms are more mobile than ever, most of the time users only need their data, and these are always available at hand on the small folding computer. What is less important when it comes to use are performance and high-end features, instead 'mobility, productivity, and robustness' are more pertinent. 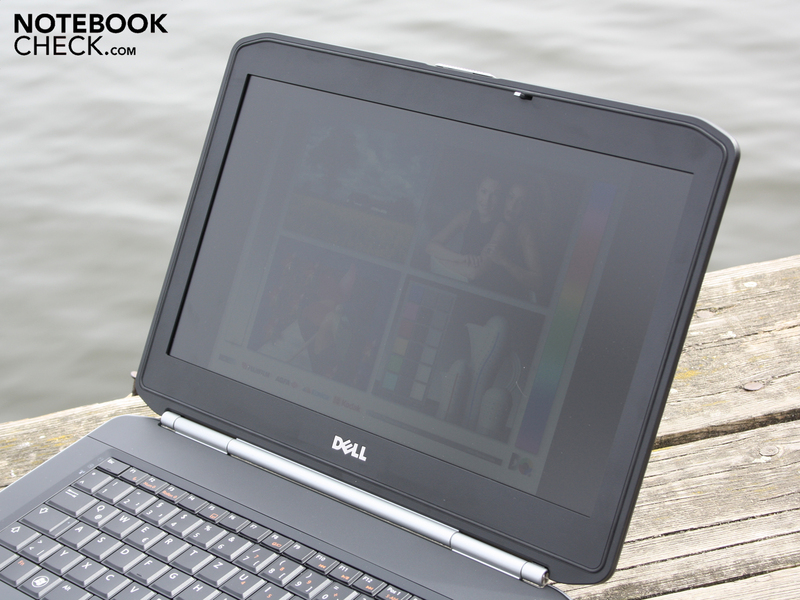 It is precisely these characteristics with which Dell is marketing its newest business spouse; the Latitude E5420. 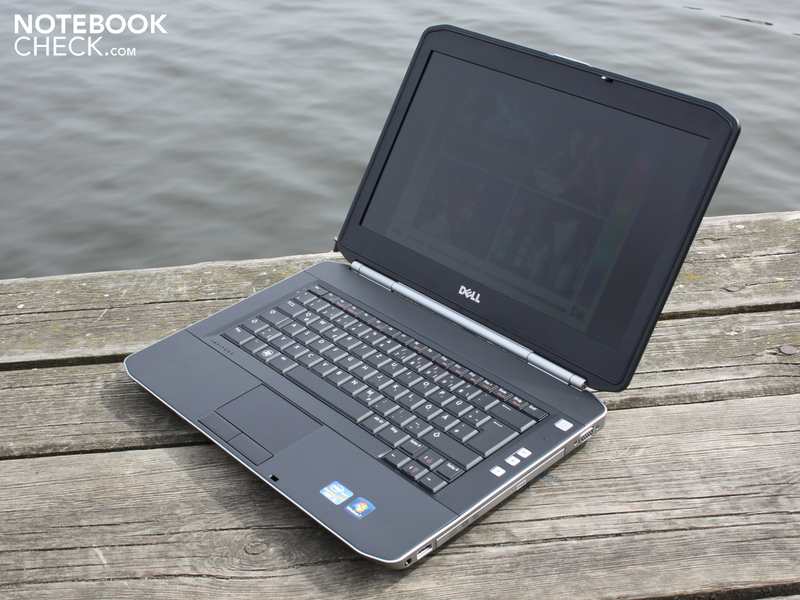 Although we have the minimal version in terms of the configuration, the 14 inch notebook isn't exactly cheap at 837 Euros. 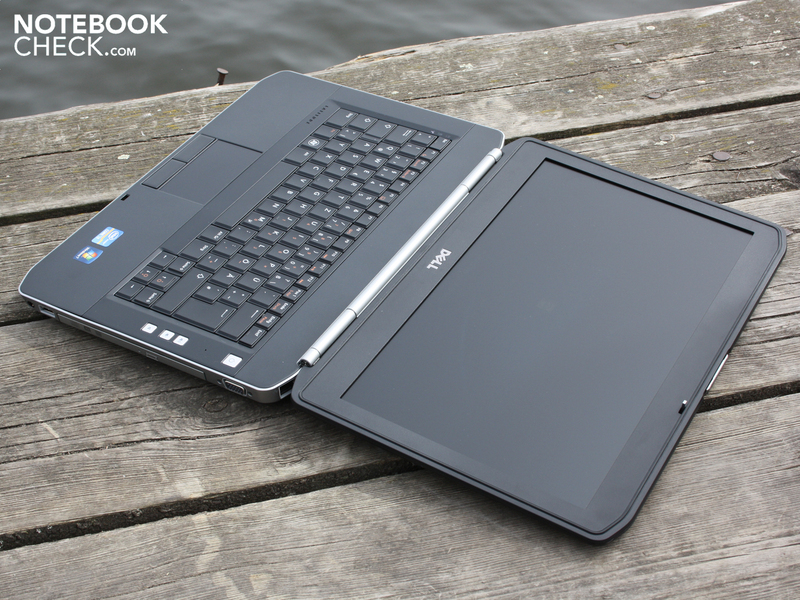 For the sake of comparison, the Acer alternative, in the form of the Aspire 3750 (13.3 inch) with an identical configuration plus Bluetooth and a bigger hard drive, only costs a mere 599 Euros. The question is whether the more affordable Aspire is actually a real alternative? We aim to find out. 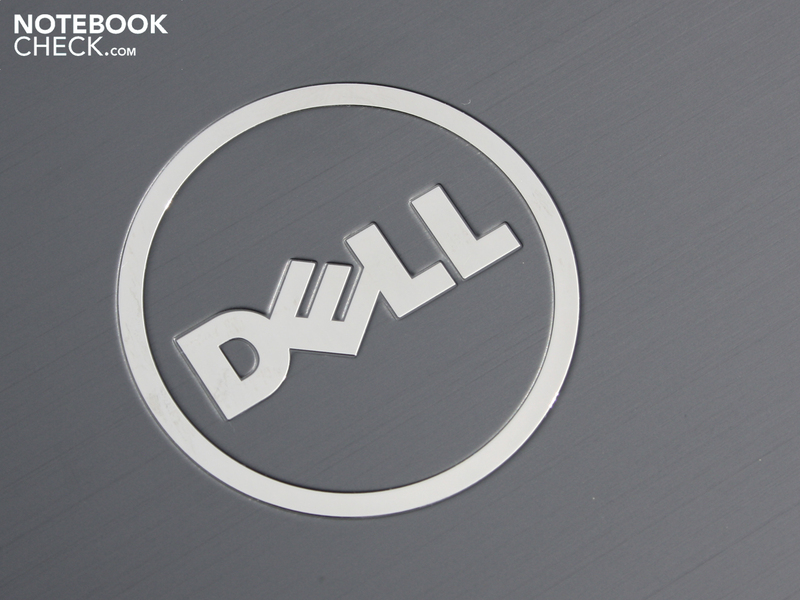 While the consumer world is opting for thin, flat, and light attributes, Dell has instead chosen to add a little on top. The weight of 2.33 grams lies heavy in the hand, and the cumbersome height of 2.4 centimeters will prevent it from slipping out of your hands by accident. The weight and dimensions may have a slightly detrimental effect on the mobility, but they provide for stability and quality. 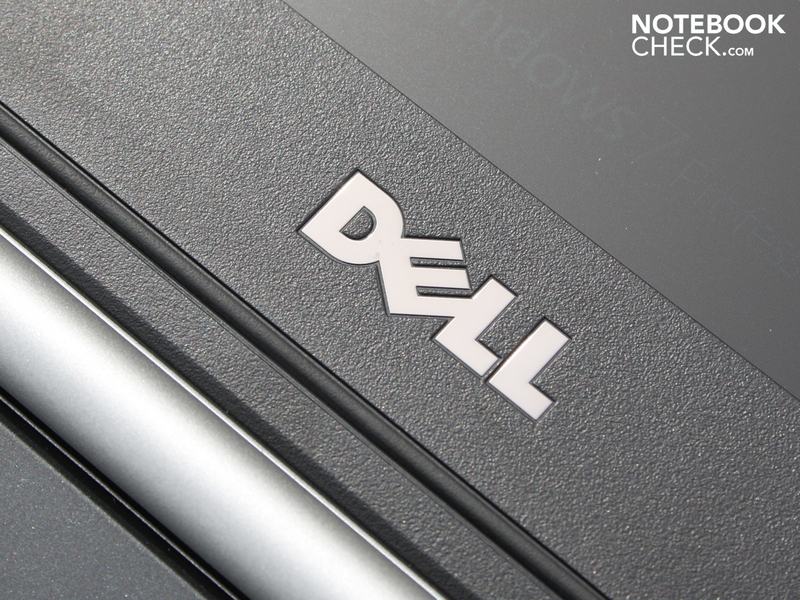 Dell has opted for high-quality but heavy materials. 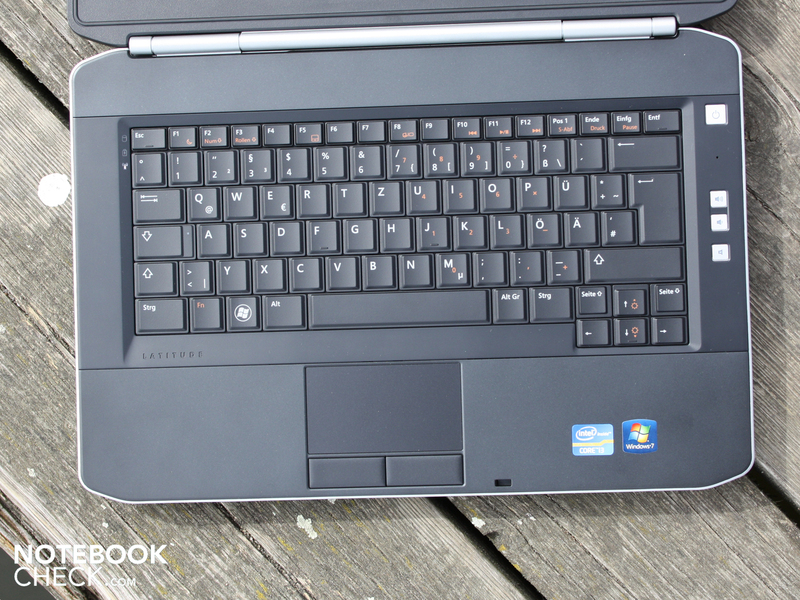 Although 'ruggedized' is not quite appropriate, the 14 inch notebooks is definitely built for day to day use. To praise: Windows 7 Home Premium 32-bit is contained on a DVD. 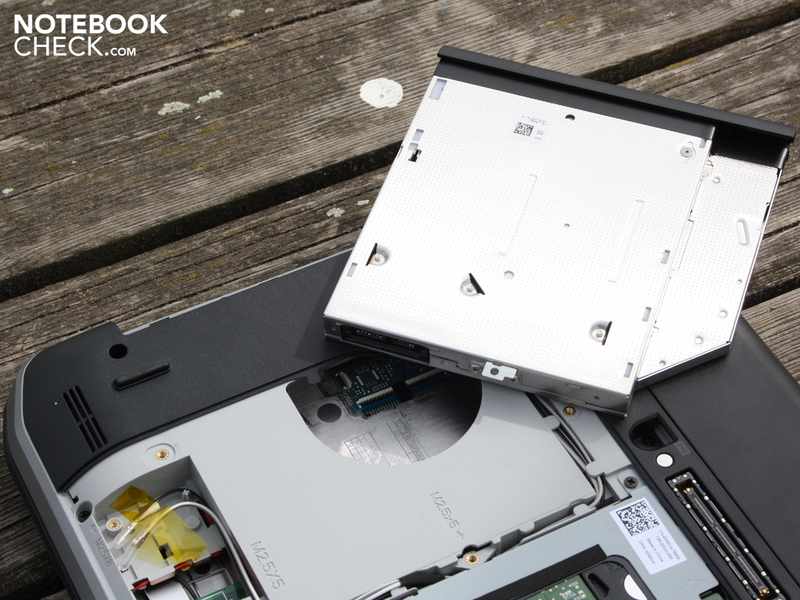 The user therefore doesn't have to create recovery discs, as is usually the case with other manufacturers. 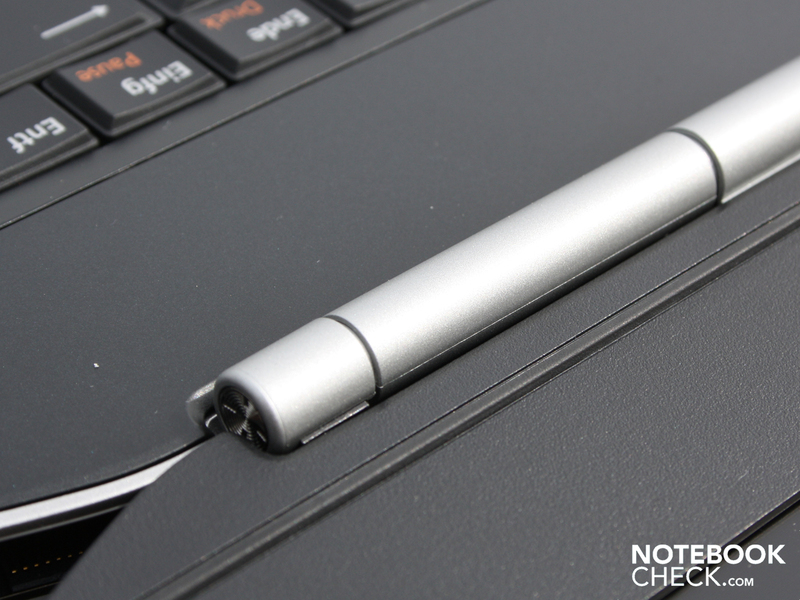 The base of the keys of the Latitude E5420 is generally firm, and provides the user with a firm end stop (not hard). The keys are pleasantly grippy. 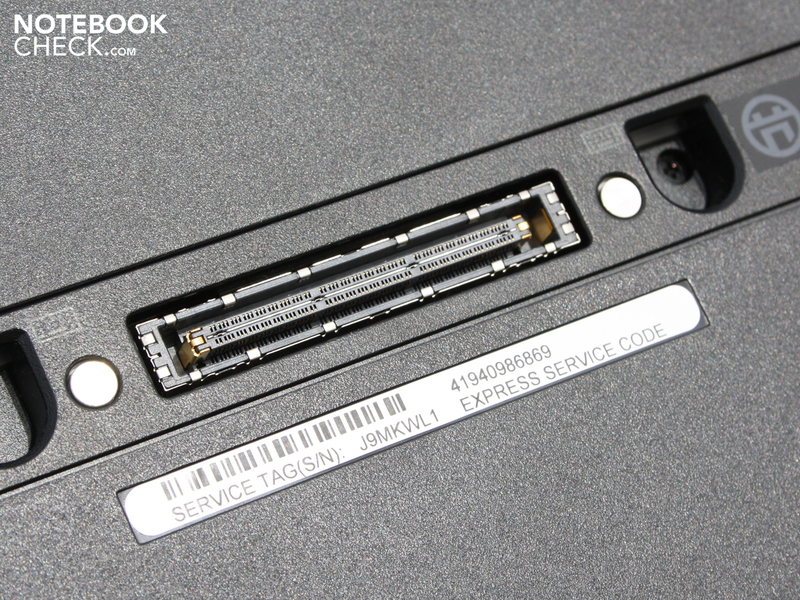 Merely the keys above the optical drive (;, ', [) are a little bouncy when pushing them hard. 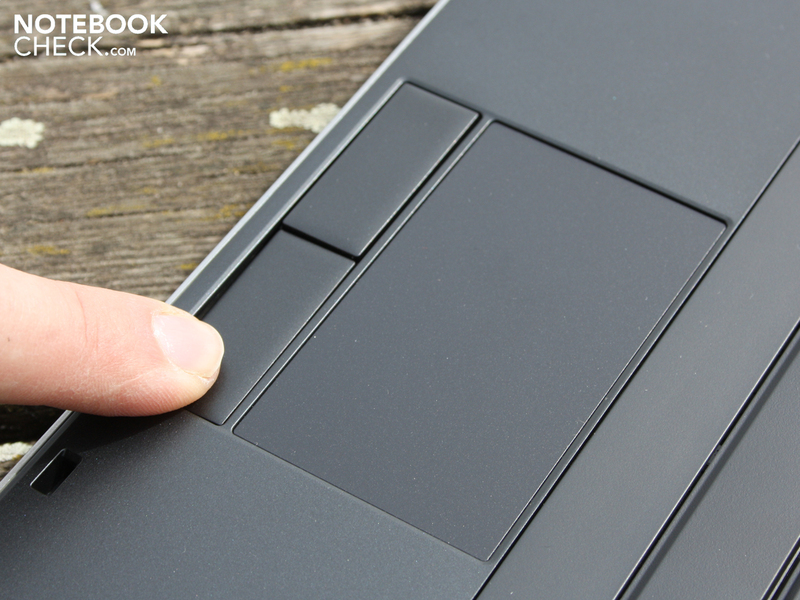 The Alps multi-touchpad is sufficiently dimensioned with a 9.1 centimeter diameter. It is sensitive right up to the edges. 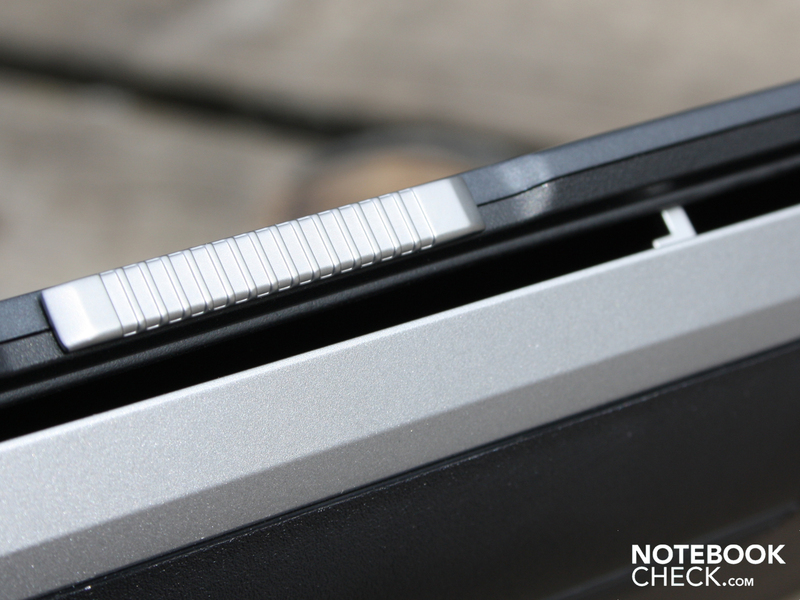 The touchpad only has a vertical scroll bar, which isn't marked though. 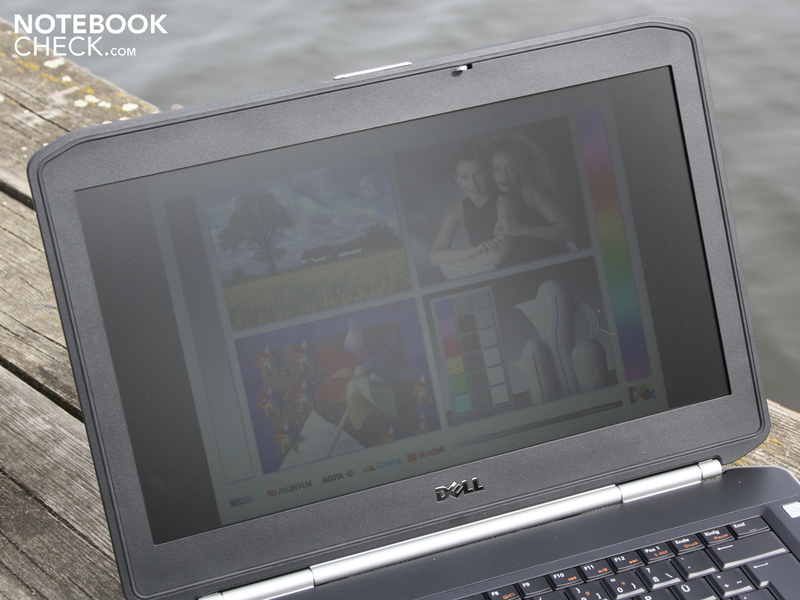 Professionals will opt for the optional resolution of 1600 x 900 pixels. 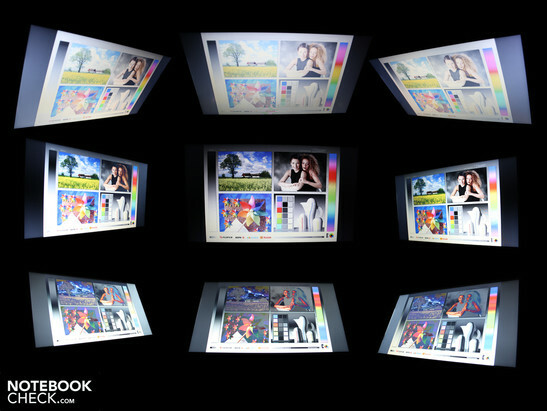 Whether the color space of the HD+ panel in the E5420 is also just as humble can't be assessed in this case. 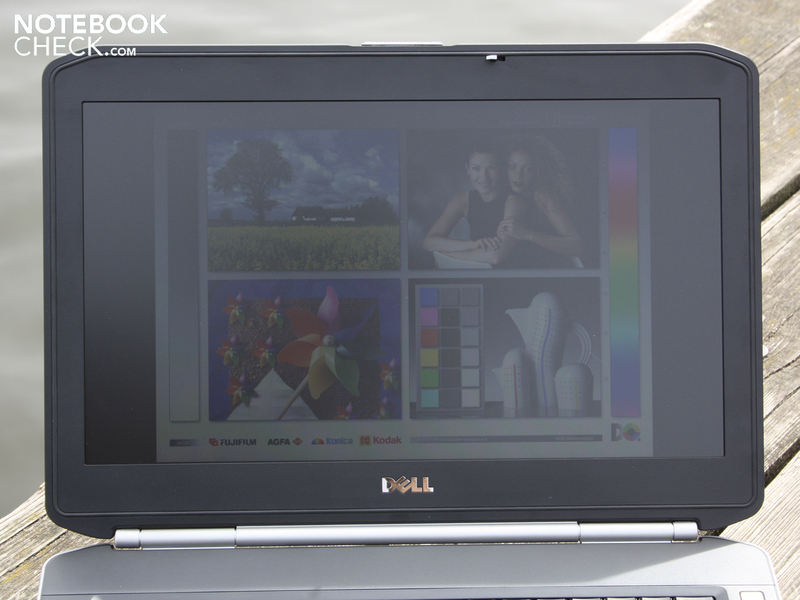 The HD+ display in the Latitude E6420 (see the last ICC picture) had a similarly small color space, and we suspect that both of the 14 inch devices have the same panel built in. The luminance is the same as the contrast, and stays well below 200 cd/m². On average we determined an illumination of 177 cd/m². This is sufficient for use indoors, but very bright surroundings, such as in the sun, won't be favorable for a dark desktop display. 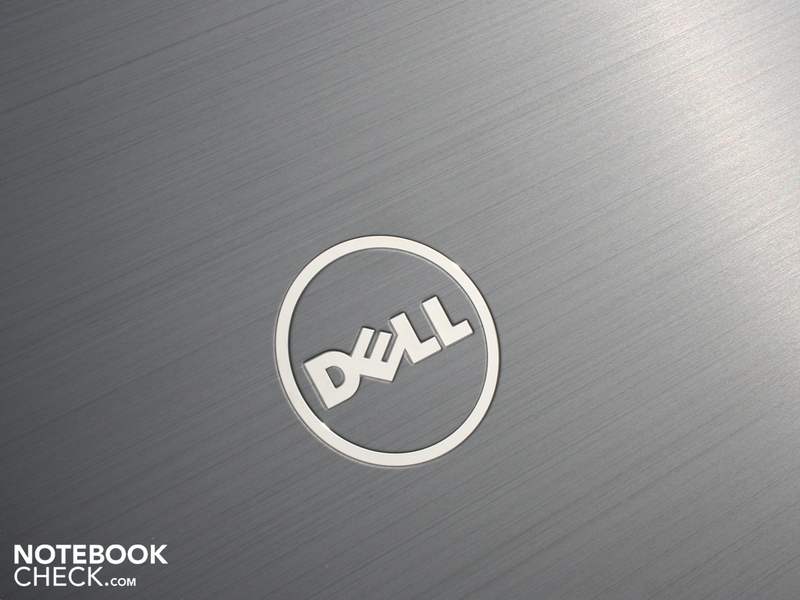 Dell's 14 inch notebook is equipped with an Intel Core i3-2310M (2 x 2.1 GHz). The brand new Core i3 dual-core CPU has Hyper-Threading (process 4 threads), but doesn't have Turbo-Boost. 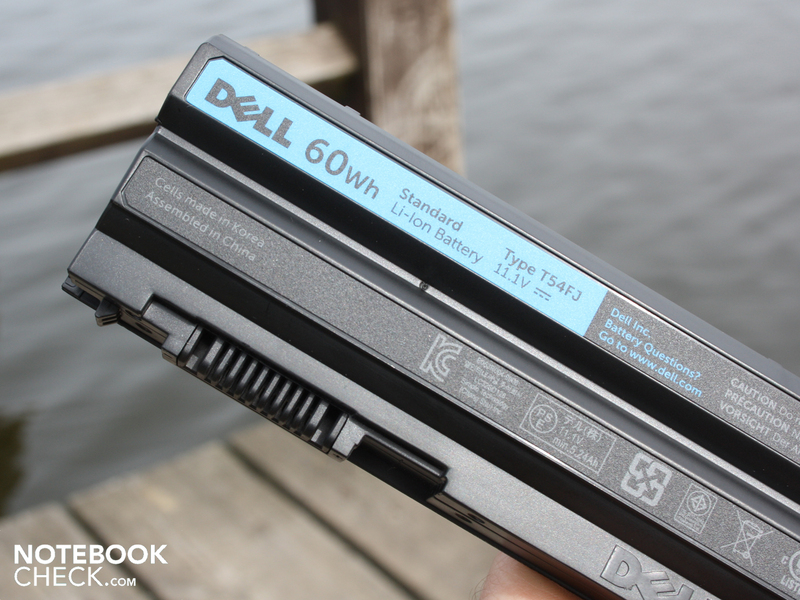 The CPU power consumption lies at a TDP of 35 Watts. Of these the two physical cores require 25 Watts. 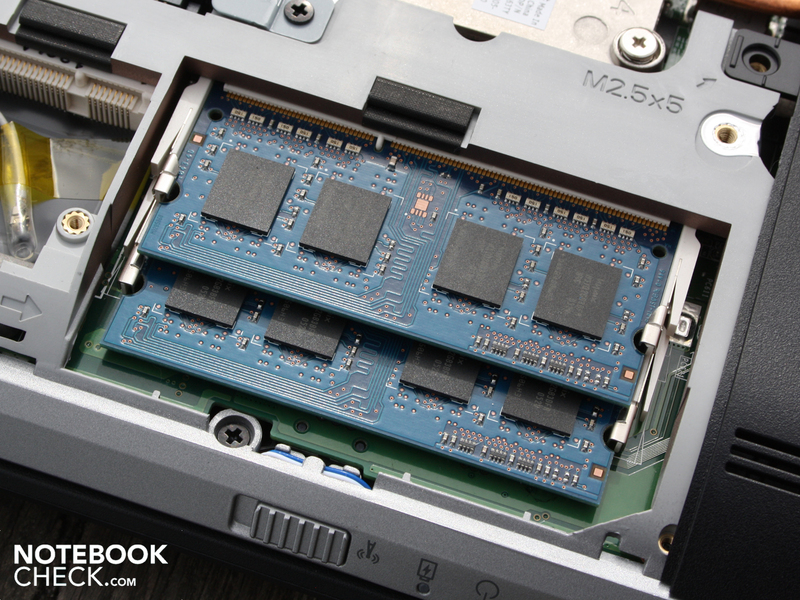 10 Watts are required by the integrated Intel HD 3000 graphics solution and the memory controller. Compared to the expensive Core i5 models, such as the i5-2540M, the i3-2310M doesn't have any support for the AES New Instructions. AES helps with encrypting and decrypting. 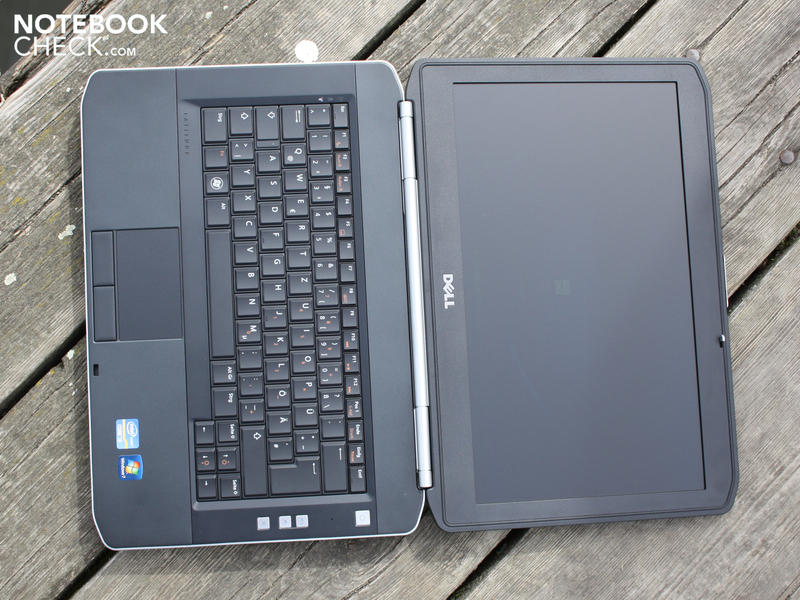 Dell allows for configurations with a 2540M up to an i7-2620M (dual-core). HD-Tune determined an extremely weak burst-rate. This shows how many Megabytes per second can be read out of the HDD cache in the best possible case. A look at the HD-Tune graphic shows a previously not seen 'limit' at just under 30 MB/s. We have included the typical HD-Tune curve from a 7200 rpm Hitachi HDD alongside for comparison. Since the read/write heads read from the inside to the outside, the data rate is lower in the outer area of the rotating disc. 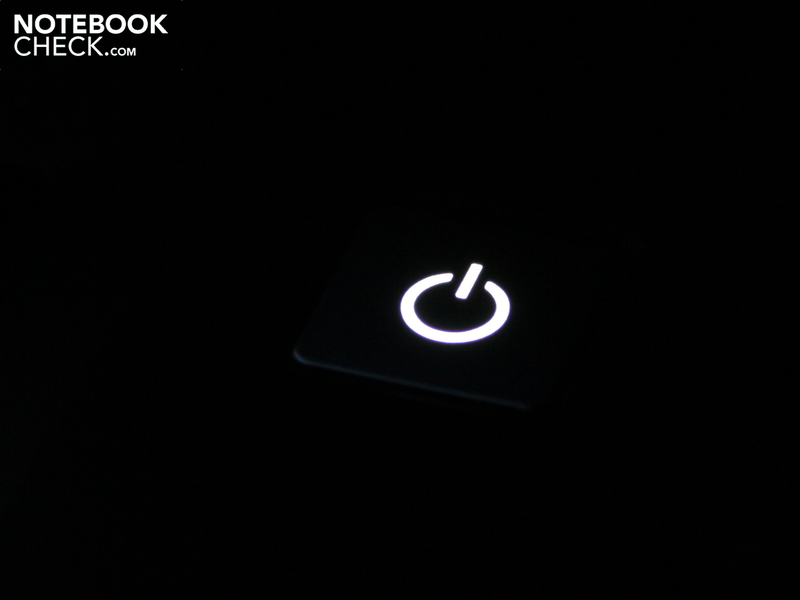 The WD3200BEKT-75KA9T0 doesn't seem to show this effect. 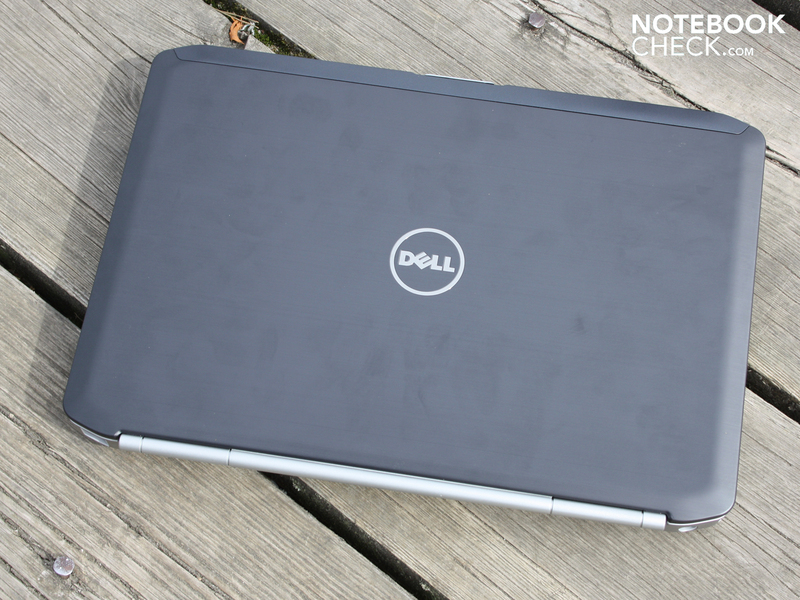 When it comes to the system noise, Dell's 14 inch notebook is definitely acceptable although with some shortcomings. 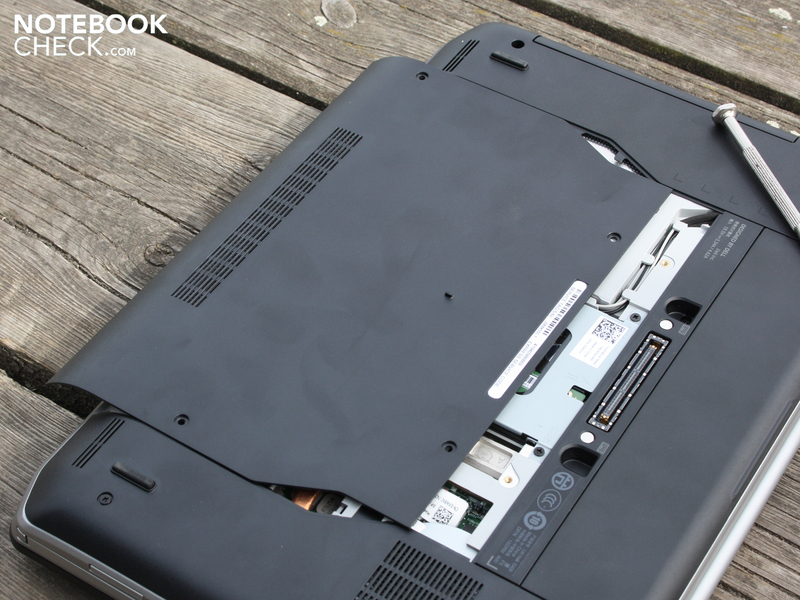 When in an idle state, or when performing simple tasks such as surfing the web, the cooling fan goes off for longer periods of time. We did measure an idle system noise of 32.8 dB(A) though. 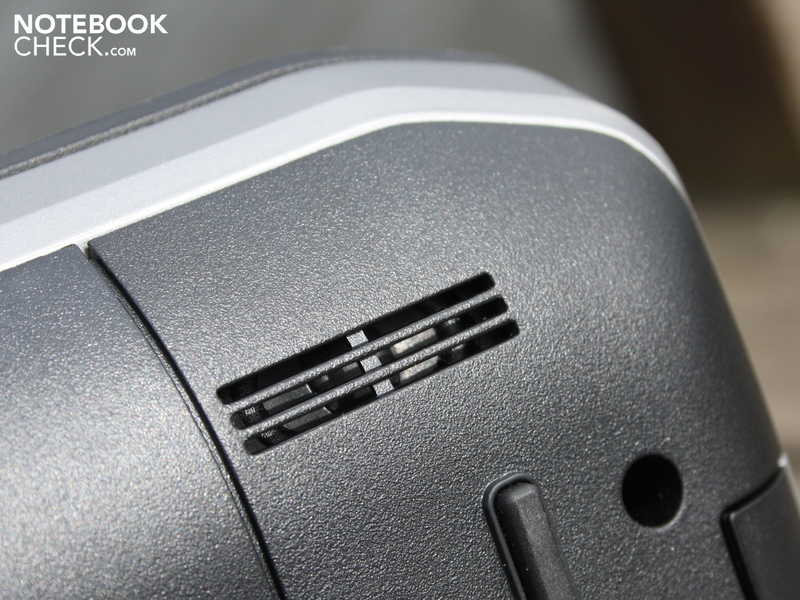 The noise that was measured by our noise meter comes from a fast turning hard disc (7200 rpm, base noise). The active noise level lies at 33.2 dB(A). In an idle state or during simple office use, the cooling fan attempts to maintain an off state, which is why a 'pulse of cooling' every 2 to 5 minutes for a few seconds is necessary. This is acceptable, but could have avoided by having a slow but constant turning instead. The energy saving power plan 'calm' or 'ultra-performance' allow the user to select their preferred noise scenario. In an idle state the average temperature on the base plate and the hand resting area is a mere 28 degrees. When surfing or during stress free office use this doesn't change significantly. At most the 33 degree mark is exceeded in some places around the middle of the base plate. The heat dissipation under load reaches up to 40 degrees, but only in some places. The average temperature doesn't climb over 32 degrees. The low CPU temperature of 74 degrees under the maximum load shows that the cooling system easily comes to terms with the heat dissipated from the 2.1 GHz Core i3-2310M. The 35 Watt CPU doesn't have automatic over-clocking per Turbo-Boost. The two speakers under the hand resting area only provide mid-frequency sounds. Low frequencies are completely missing. For the requirements of an office laptop, the audio quality is still reasonable though. The maximum volume could be loud enough for a small meeting room, and the small speakers don't distort at all. 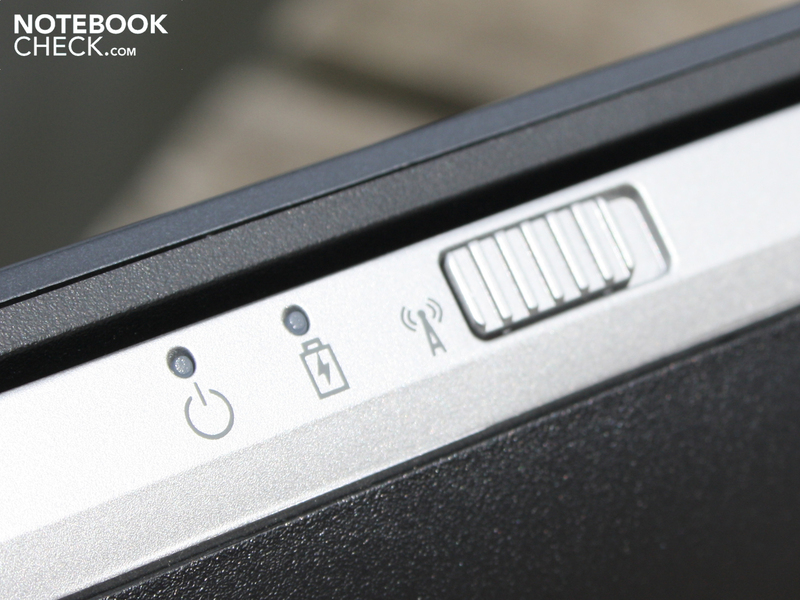 Worth praising are the volume buttons on the right next to the keyboard. For the case that the boss comes into the office, the speakers can be deactivated instantly. Tradition obliges. 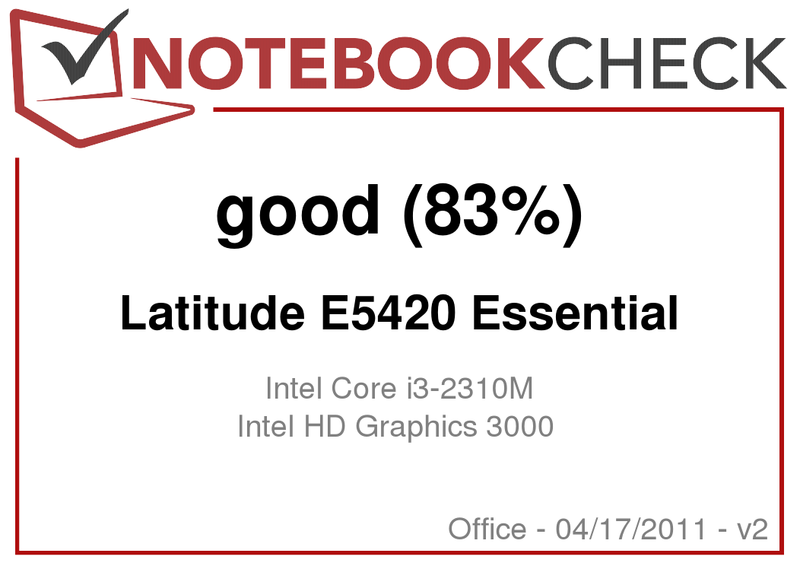 The Latitude E5420 Essential from the business line of Dell notebooks certainly lives up to its name. 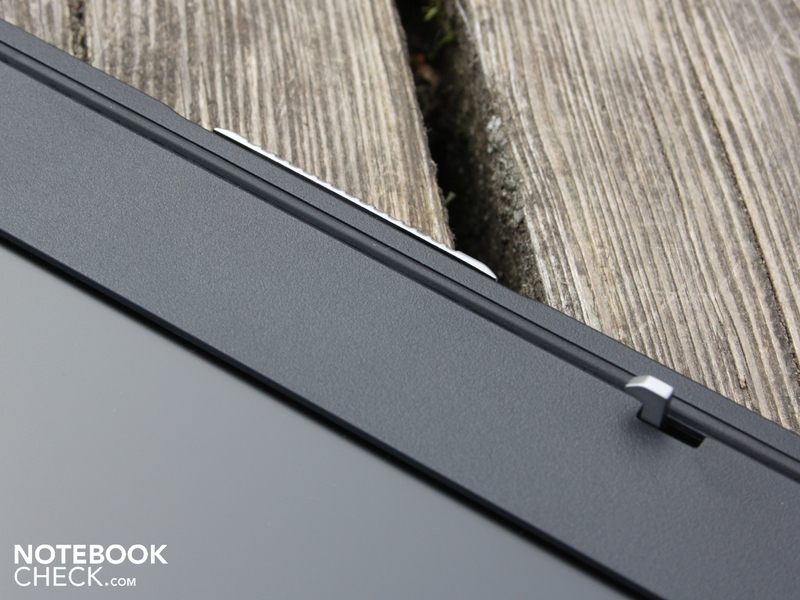 The 14 inch device is a solid notebook with matte high-quality surfaces, and top-notch input devices. 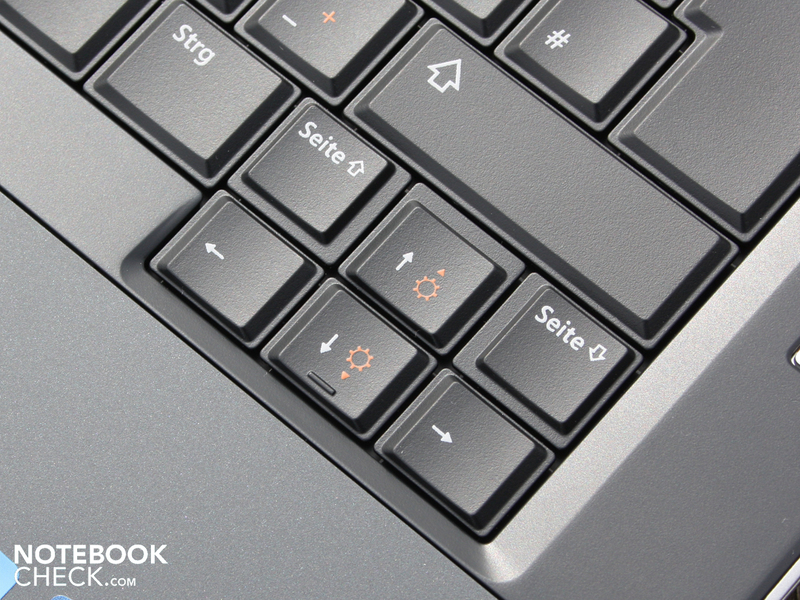 Fingers fly across the touchpad and keys with ease and accuracy. Meanwhile users will easily forget that there is only a Core i3-2310M processor under the hood. 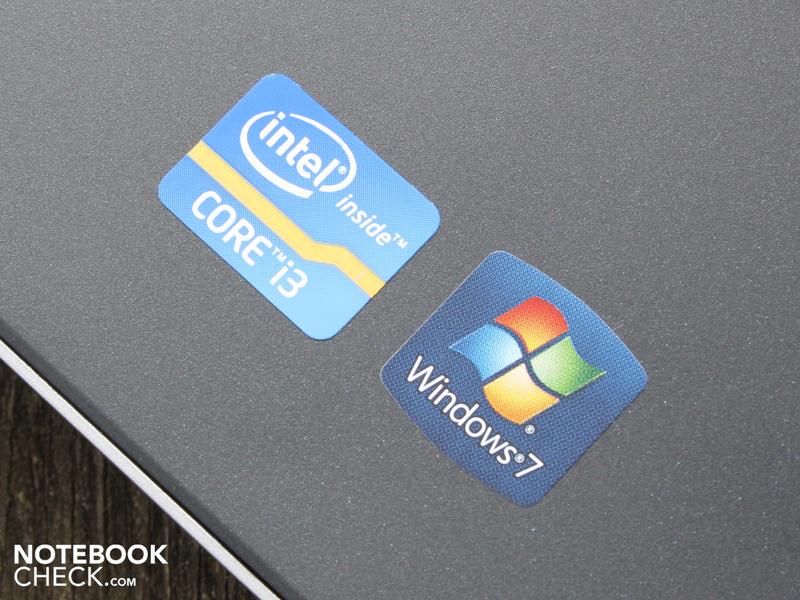 Although this doesn't quite deliver the same performance of the newer Sandy Bridge Core i5 CPUs with Turbo-Boost 2.0. 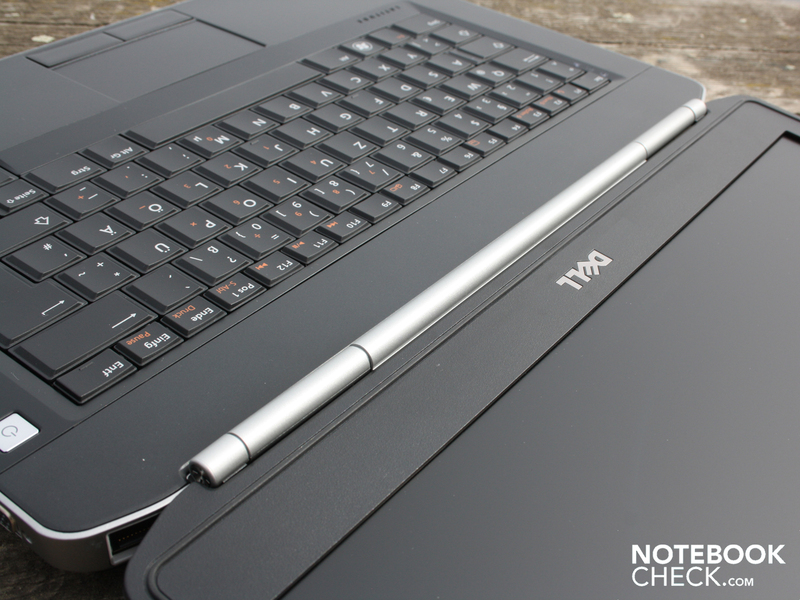 The previously mentioned cheaper alternative Aspire 3750 (13.3 inch, simultaneously tested, 599 Euros) with an identical configuration can't compete with the Latitude E5420 (837 Euros) though. 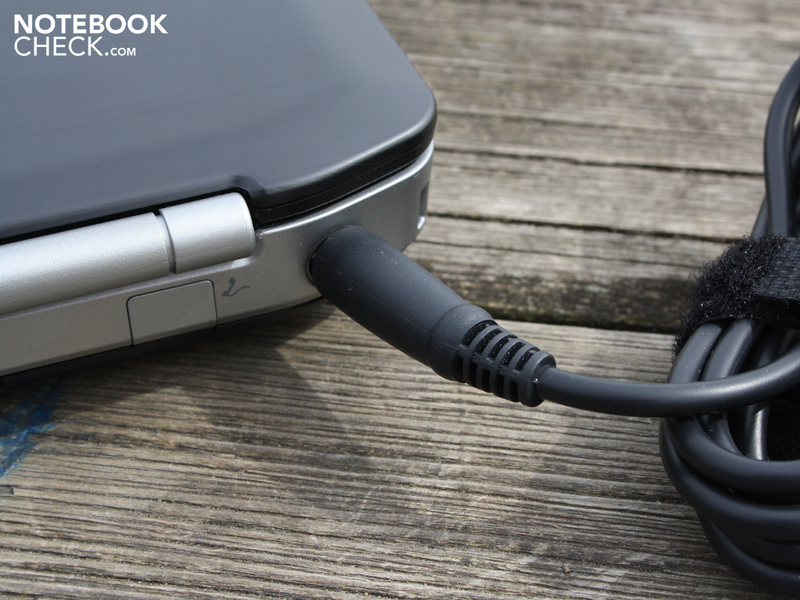 Business users may be able to do without Bluetooth and a 500 GB hard drive, but not without very good input devices. 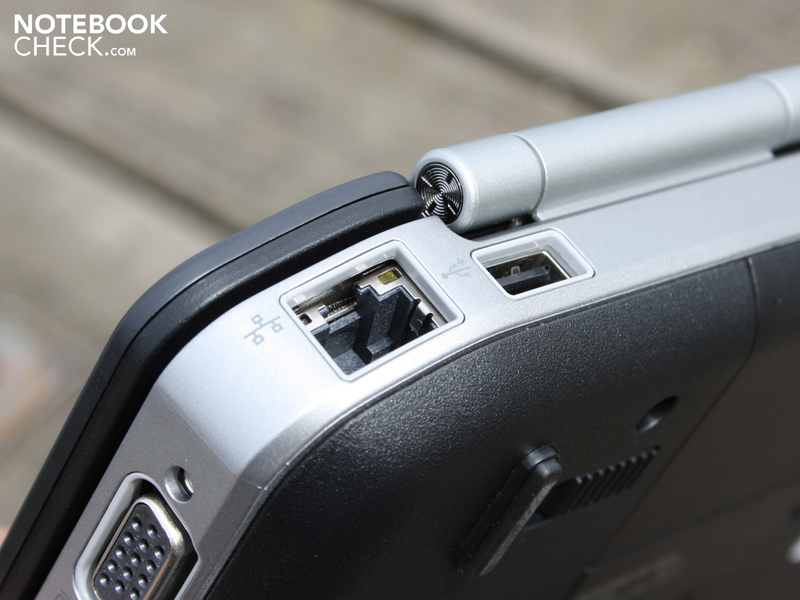 When it comes to the interfaces including a Docking port, the Latitude has the crucial advantage. 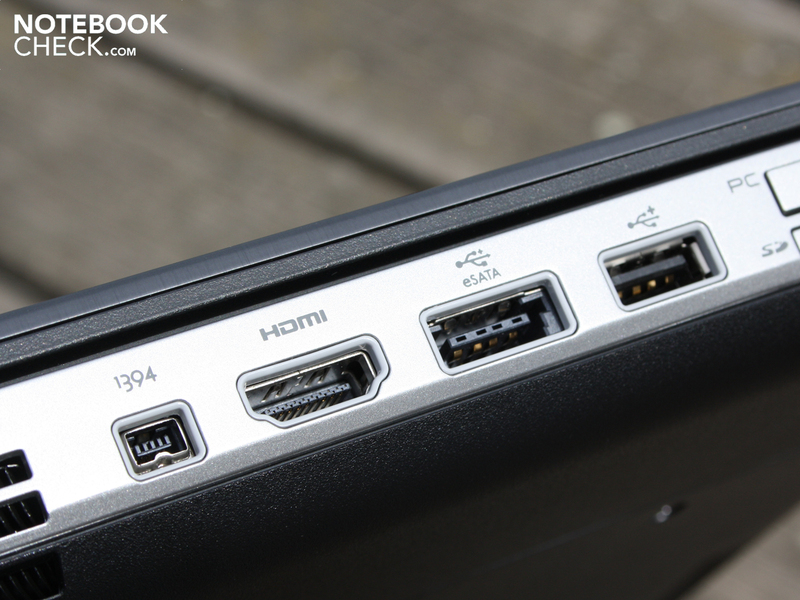 PC-Card (PCMCIA), FireWire, and a screw tight VGA port at the back may not be enough to convince a consumer, but in the business field these features can make the difference between buying and not buying. 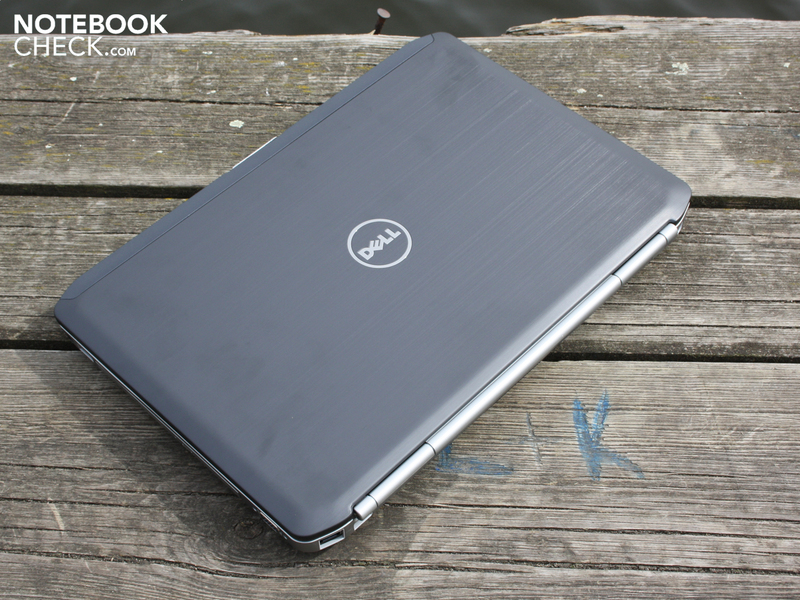 The switch to a mobile office is possible with the Latitude E5420 from Dell. The keys stand out with a very good key travel. 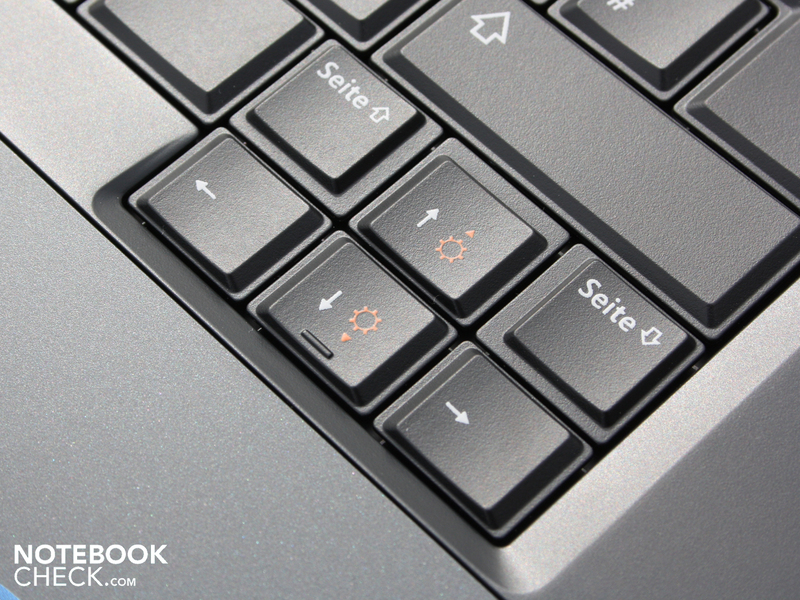 The concave shape of the keys provides for accurate typing. 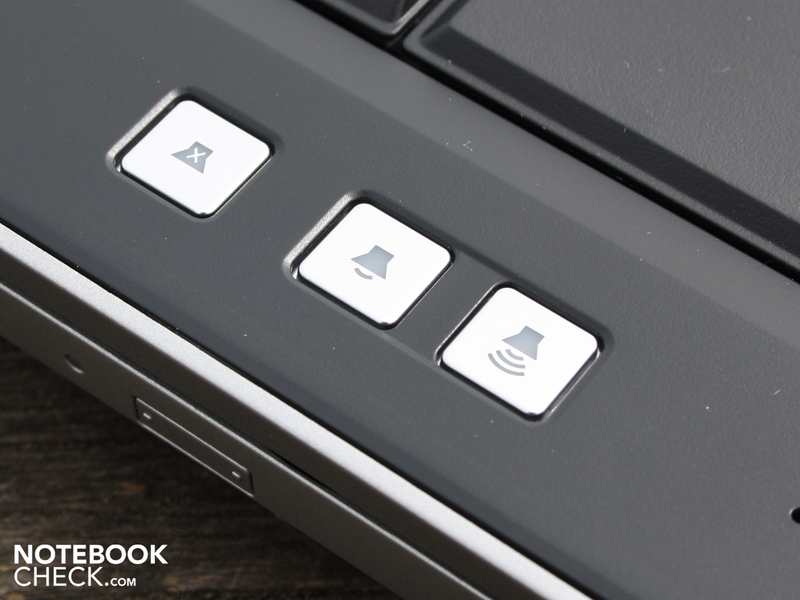 The easy to use touchpad buttons have a good feedback. 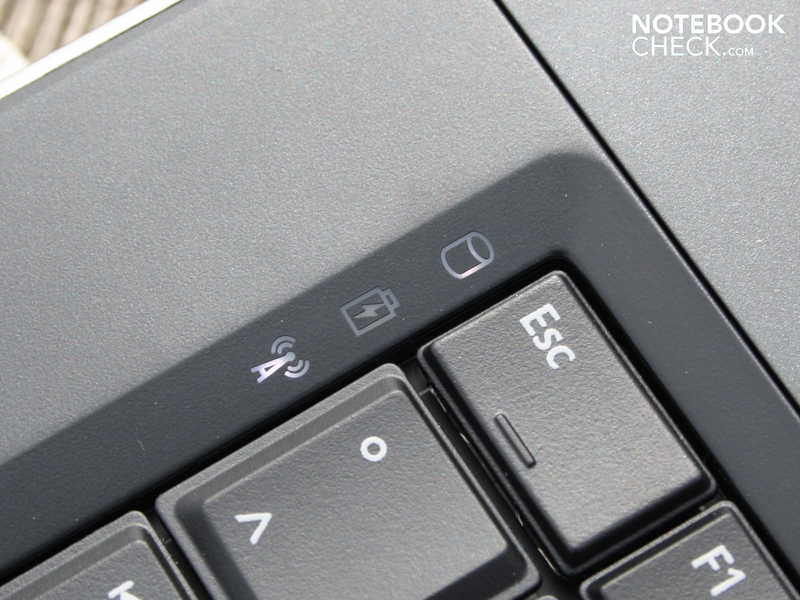 The status LEDs are next to the ESC key. these shine nicely in the dark. 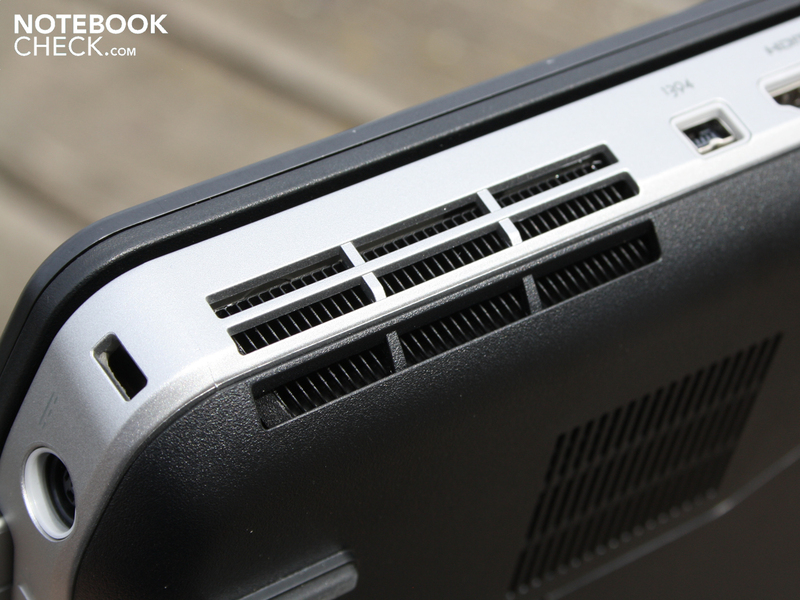 The optical drive is a not a Multi-bay (no battery usable). and a full size Mini PCIe with an antenna attachment for the UMTS module. 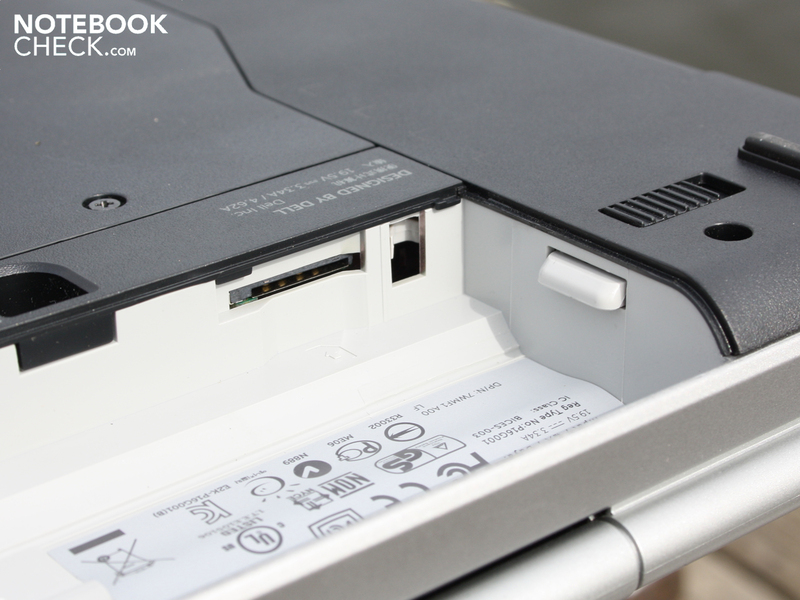 Under the battery we can find the slot for the SimCard. 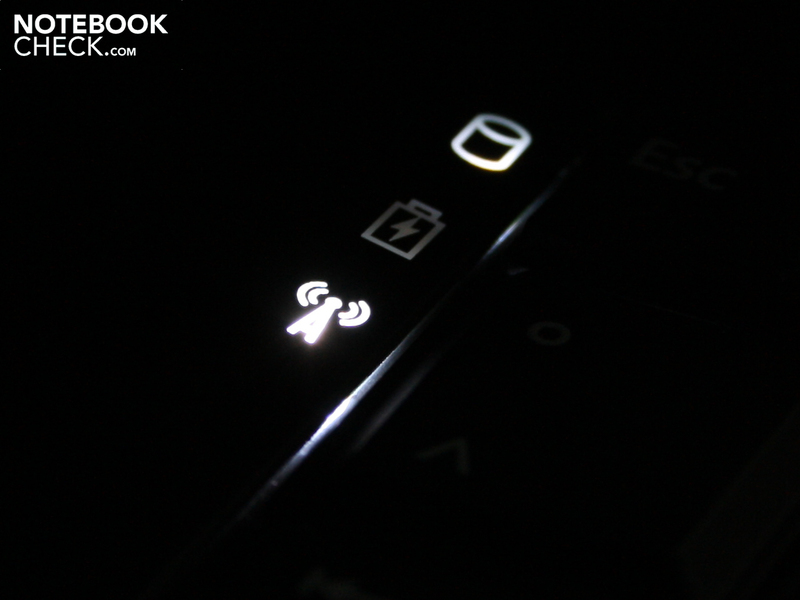 The E5420 can be fitted with an HSDPA module if required. 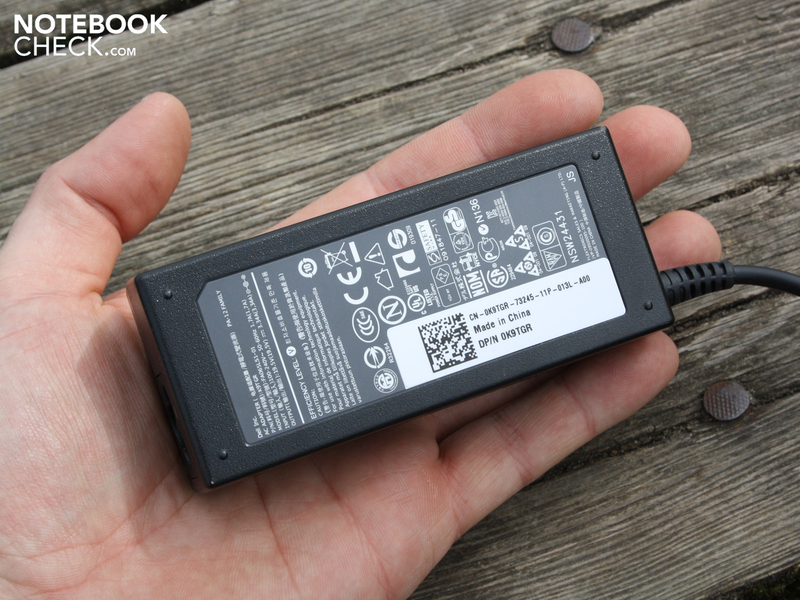 The handy AC adapter only weights 241 grams. It can also be left at the office in some cases. 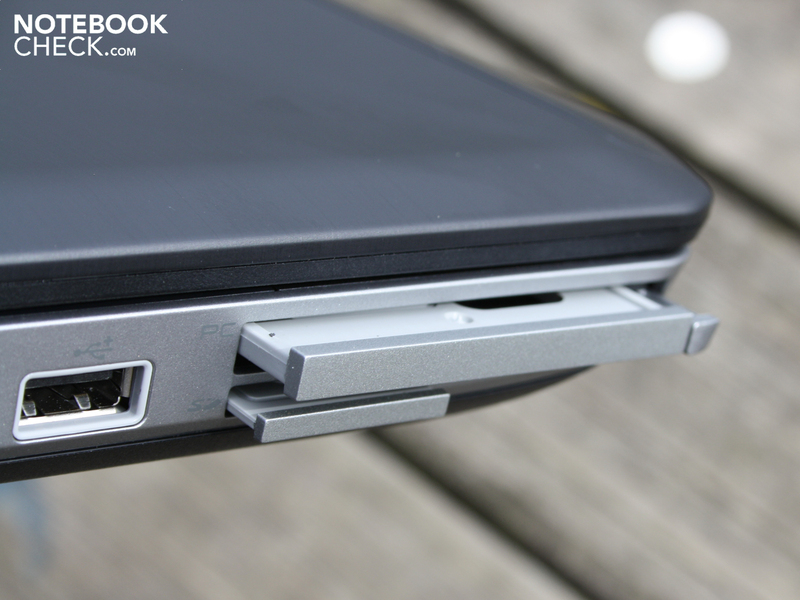 As a real business notebook, a Docking port is a must (E-port). 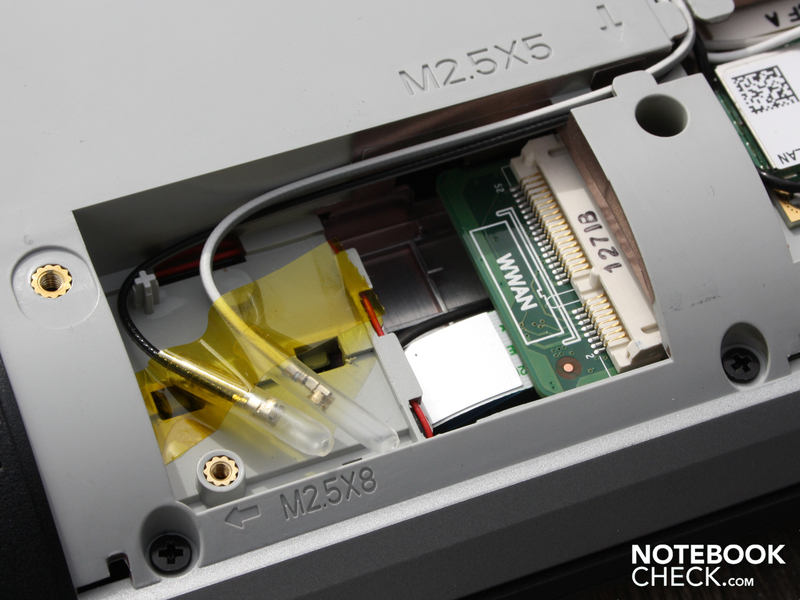 Old-school: PC-Card (PCMCIA) is still used in some businesses. but the newest ports aren't available (WLAN switch). and stands out due to its robustness, security, and simple administration. Our tested configuration is the most affordable model in the E-Series. 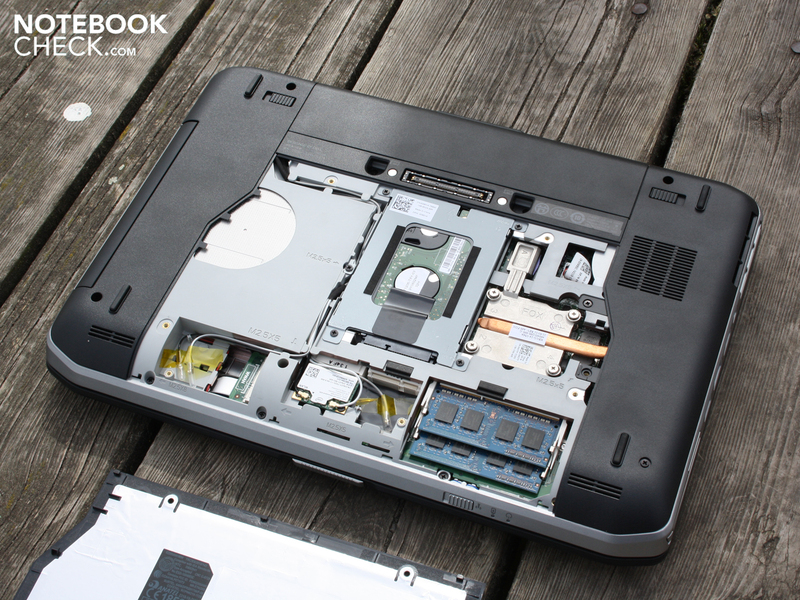 Under the hood is a easy going Core i3-2310M (2x 2.1 GHz) without Turbo-Boost. and the zinc alloy latching mechanism, the Latitude provides for robustness. hold the lid very firmly in place. 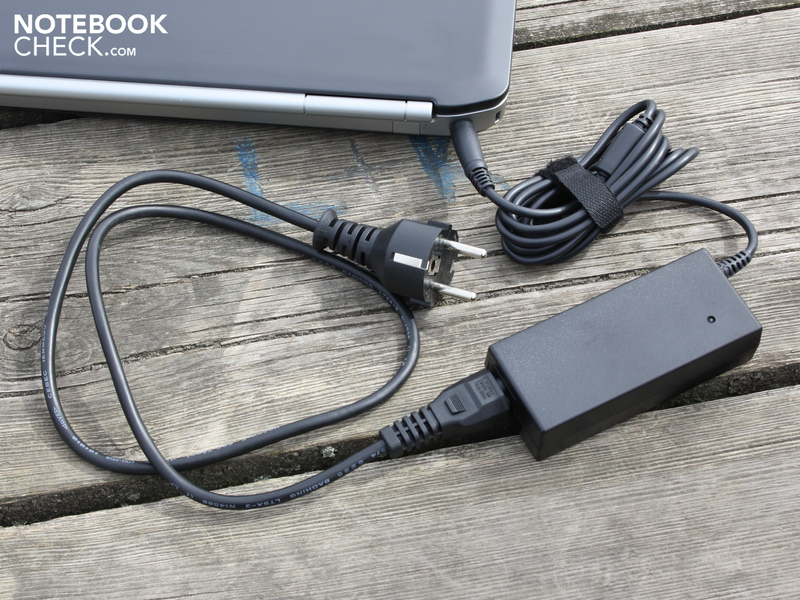 that for instance contain the power socket. The speakers are sufficient for office use. Especially the fast adjustment/muting is useful. 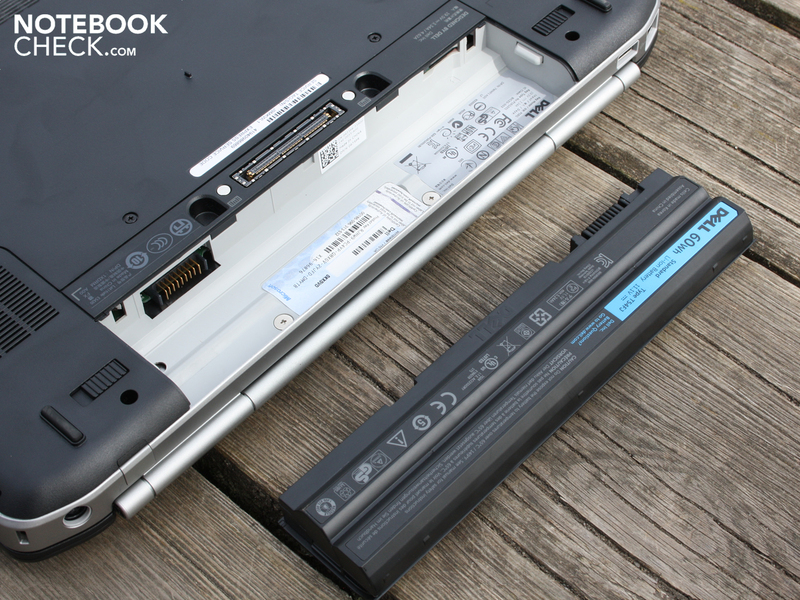 The 60Wh battery keeps the 14 inch notebook on its feet for almost 6 hours. The omission of a dedicated graphics card, and complex Hybrid/Optimus solutions. A brighter TFT with better viewing angles would improve the outdoor use. 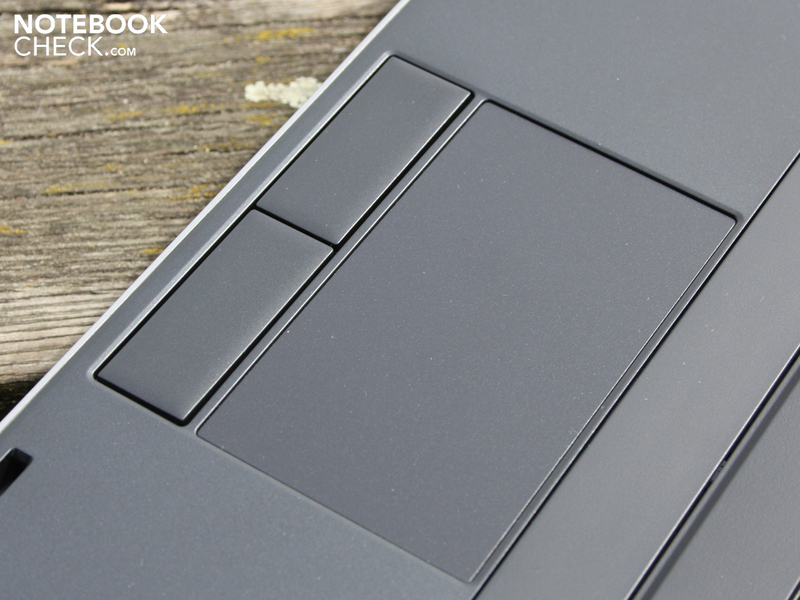 Why only so few manufacturers are capable of putting together such quiet touchpad buttons with such good feedback. 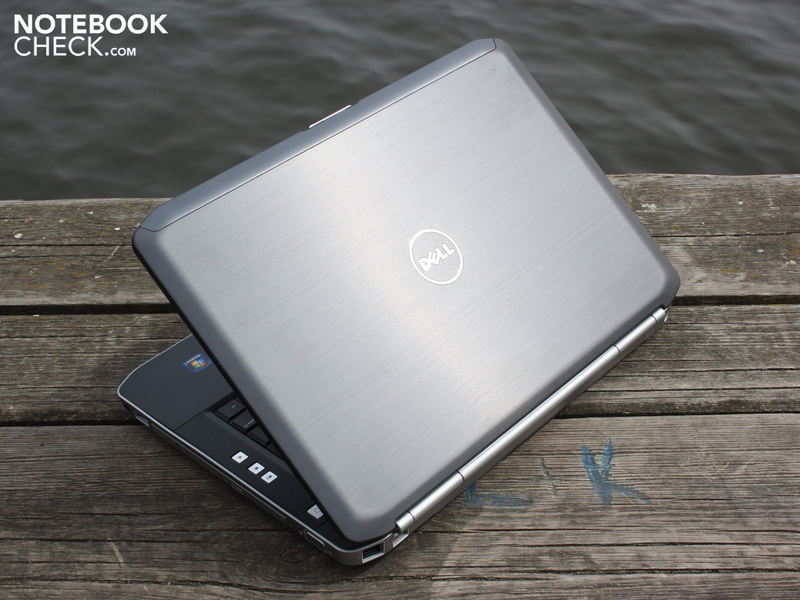 Luxury office in 14 inches: Dell Latitude E6420, HP Elitebook 8460p, Lenovo ThinkPad T420, Acers Travelmate 8472TG.